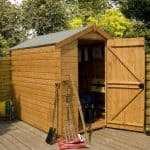 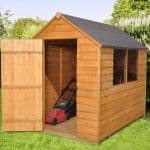 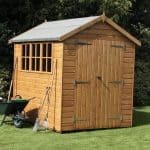 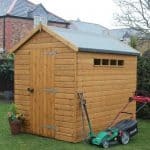 This is outstanding garden storage comprising of hard wearing and long lasting wood with very large doors which open wide enough to get to any garden equipment inside. 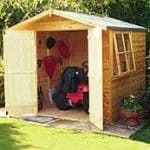 It also gives the user easy transportation of items inside and out. 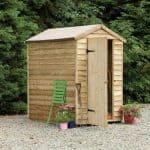 This is large enough to store all your gardening paraphernalia neatly away and the tongue & groove cladding really adds extra strength and durability. 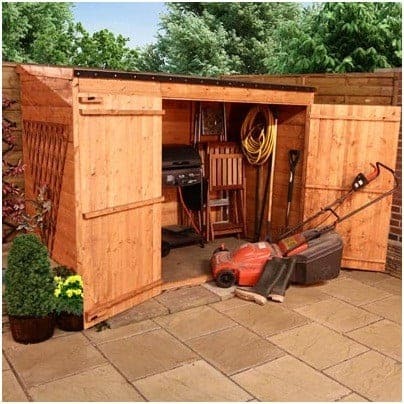 This garden storage is built to withstand all weathers and will last you for many years.